I am super excited to tell ya'll that i'm going to be participating in my very first #BoutOfBooks read a thon! I just love a good read a thon and this is like the mother of all 'thons! So i'm super stoked, and iv'e got a selection of pretty freakin awesome books to make my way through! I'll be devoting as much time as possible to reading during this week, i'm going to try push myself and put my reading to the test. These are the books iv'e chosen to read during this week! I'm currently making my way through reading Divergent! (Yayyy Four <4) Then i'll be moving on to Throne Of Glass & Crown of Midnight both by Sarah J. Maas in time for her Heir of Fire signing on Wednesday which i will be attending! (FANGIRL ALERT!!) Then i'll be reading The Assasin's Curse and The Pirate's Wish the i'm sure to be fabulous duology by Cassandra Rose Clark. Then if i still have enough time I'm going to try make my way through The Assassin's Blade, the Throne of Glass novellas! Six books are a lot to read within a week especially with work but like i said, i want to push myself so finger crossed i can do it!! I also have a few books which I'm currently reading at the moment so if i manage to finish any of them it'll be an added bonus and i'll let you all know in my daily updates!! If you guys are taking part in the Bout of Books read a thon let me know and we can chat progress!! oh my gosh, lovely book choices!! 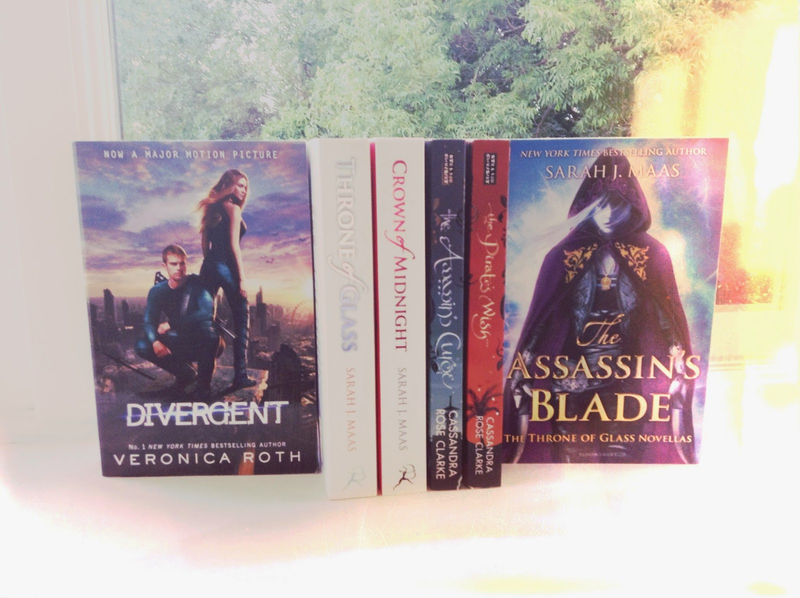 Throne of Glass is AMAZING!!!!!!!!!! Enjoy your books :) Then come talk to me about them ;) I look forward to reading your reviews.